The most innocent looking person could often be the guiltiest one. Those with childishly innocent faces are often capable to fool us more easily. I might be wrong, but I have always tried to avoid expressing any opinion about Edward Snowden and his actions. In fact, at times, it seems easier to agree with the common viewpoint that what he has done is heroic or that he is a whistleblower. I should say, I do not think that way. From the moment Edward Snowden leaked the information stolen from NSA and the whole world suddenly got involved in that major espionage, I have refused to watch any documentary about the former NSA employee, until I got a chance to see a reasonable, solid film that does not follow the commonly favourable opinion but, in fact, shows many different viewpoints. The documentary “Hall of Mirrors” is directed by Ena and Ines Talakic. The film follows Edward Jay Epstein – an author whose controversial investigations have made a history over five decades. Now, the investigative journalist has decided to challenge the public opinion by spending three years to investigate Edward Snowden – the man who became famous for leaking the top security information to the press 2013. During this journey, the viewer will follow Epstein to discover details that many of us have missed or maybe have chosen not to see. For me, the most interesting part of his investigation is the way he can see details, sort them out, analyze and come up with the most objective conclusions. I should say, after watching this film, it might be also interesting to read his brilliant article written for the Wall Street Journal titled as The Fable of Edward Snowden. 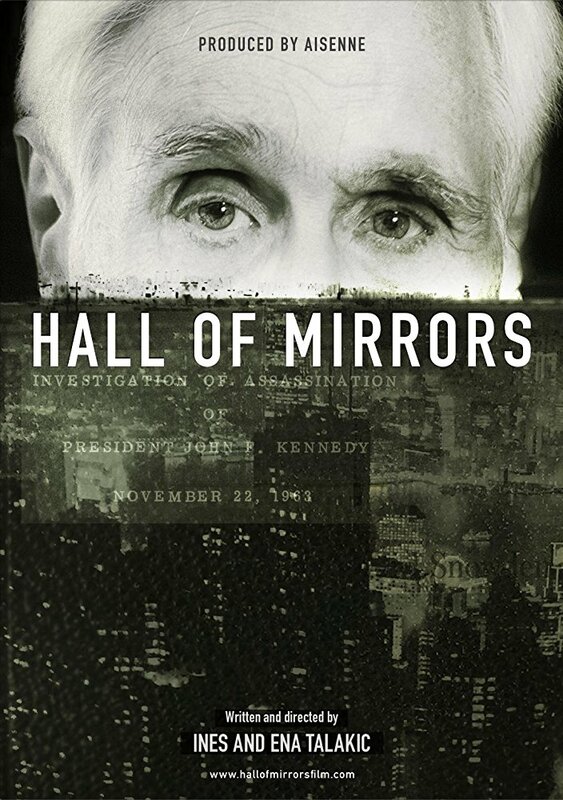 When reviewing a documentary like “Hall of Mirrors”, it is important not to give away too much about the plot, so that none of the juicy details are compromised and the viewer has a chance to learn them as the film progresses. It is worth mentioning, that it is crucial to leave aside all the prejudices and perceptions when watching the film and to allow the story flow with its natural pace, revealing information step by step, and to start processing it only after the screen fades to black. The filmmakers try to keep the viewer away from all the unnecessary information, letting their protagonist – Epstein to lead us into a journey around the world in order to finalize his investigation. In conclusion, this film does not provide us with any easy answers. Instead, it shared a lot of useful information provided by a very experienced journalist who relies on heavy facts only. It also tries to stay away from propaganda and manipulating the public opinion, instead, it gives the viewer something new. You may or may not change your opinion regarding Snowden, which frankly speaking, is not the aim of this film. As any good documentary, it sheds light on the facts, letting your doubts slowly fade away and disappear by the time the film comes to an end.